SAVE 10% when purchasing as a Set! A trilogy of support. Peace grows in bigger and bigger circles! 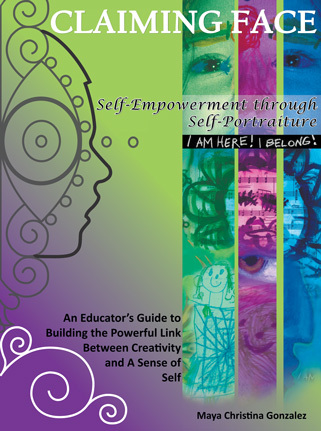 What began as a solitary journey evolved into a book, which grew into a online course and now that course has grown into a set of books to support the journey. 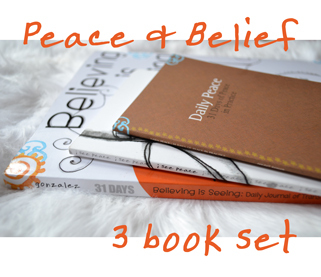 Using peace as the framework to explore and transform core beliefs The Peace and Belief 3 Book Set places the I SEE PEACE journey in your hands to take with you wherever you need to go. From the bus to the beach, from the park to work. Each book provides something different to bring peace into each moment. Want to work through these books with Daily Emails, Audio, Video and more? Check out Maya’s online class through School of the Free Mind: Believing is Seeing: Daily Journal of Transformation. Join anytime! Through gentle, repetitive behaviors you become more aware of your thoughts and consequently your beliefs about your self, your world, what’s possible, and more. You begin by playing with your beliefs about peace as a way to not only bring more peace into your life and the world, but also to learn how to transform beliefs that are not serving you. When you bring more peace into your life, when you allow yourself to relax more and trust life, you naturally open the pathways to create stronger, more satisfying things in your life with greater ease. 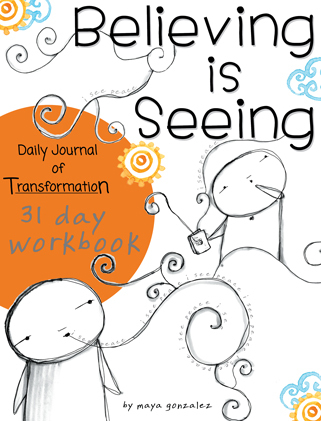 The workbook includes 31 days of daily thoughts that take the concepts of peace deeper, creative prompts that bring your own life directly into play, and practical tools that address the body, heart, mind, and more. 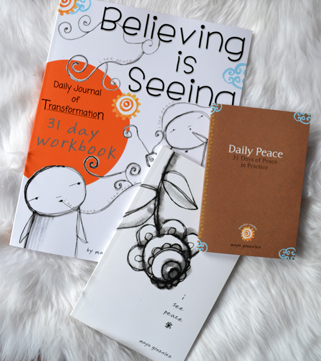 Believing is Seeing pairs well with the I See Peace Book & Journal as it expands on each spread of the book but also stands on its own to practice making peace a part of your daily routine. Focusing on the very big idea of peace, this small book is compact enough to carry with you wherever you go. 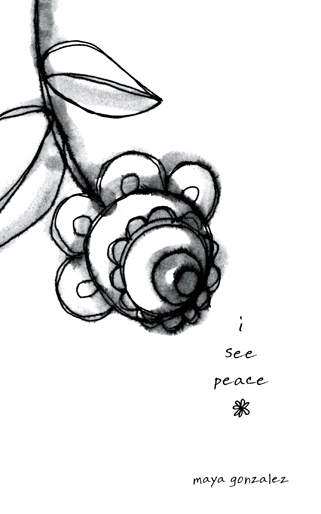 Part story book and part guided journal, i see peace uncovers the truth about a very real and personal experience of peace and how to create it in our own lives. 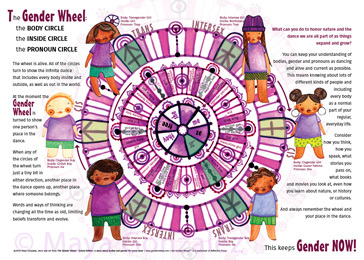 Award-winning children’s book illustrator/author and educator, Maya Gonzalez uses simple words and even more simple ink drawings to create both a universal and intimate experience of peace. 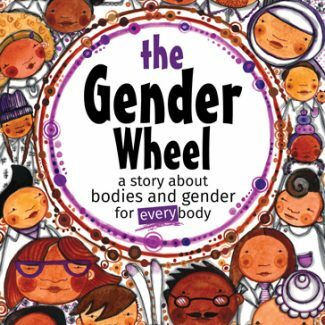 Readers are invited to not only write in the guided journal portion of the book, but to draw or color all over the book. Come play with Maya and learn that peace is often closer than we think. The story is a simple read, created to potentially be read on multiple levels and provide the opportunity for deeper and deeper reads over time and experience with peace. The style of language and imagery also provide a resting point and moment of reflection in our life. This little book is the perfect pocket size to take everywhere you go. Perfect when paired with the I See Peace Book & Journal as it follows and expands on each spread of the book. It’s also perfect on its own to continue the practice of peace long term. 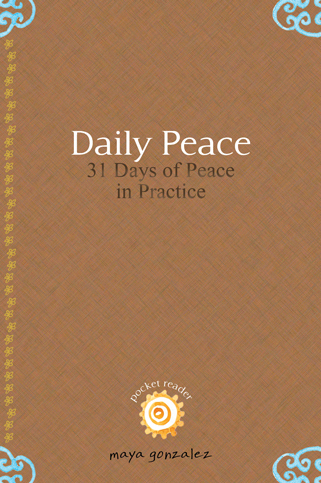 Daily Peace slows things down and takes the I See Peace lessons deeper, creating a consistent 31 day practice with daily thoughts and affirmations. This provides a small bite size practice you can drop into whenever you need or an easily repeatable structure you can wave through again and again to support a steady and progressive integration of peace into your daily life. Whatever your style, peace is yours!